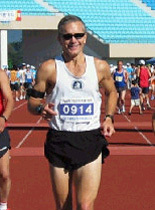 2004 Seoul International Marathon or 75th Dong-A Marathon was held on March 14, 2004. Among the tens of thousands of runners were a special group of athletes called "Seoul Synergy." A dozen members of this new, international, and diverse runner and triathlete club were competing in nation's one of the largest and oldest international marathon event. Among the world-class marathoners to run in this event were Korea's star runner Lee Bong-Ju, world-renowned marathoner William Kipsang of Kenya, and South Africa's Gert Thys, the winner of 2003 Seoul International Marathon. Seoul Synergy is diverse in its membership. It's also unique as it is an international club with the primary language of communication being English. But all were welcome. There were many local Koreans as well as foreigners in this group dubbed "Seoulsters." Since its foundation in 2002, Seoul Synergy has been a quite active sports club in which athletes promote fitness, friendship, and positive international relationships amongst people right on the Korean Peninsula. since its inception. They have participated in Ironman Korea, the Chuncheon Marathon, the Boston Marathon, Ironman Australia, Ironman Austria, and Laguna Phuket International Triathlon. Seoul Synergy is open to all athletes in Korea regardless of nationality, race, or gender. The primary language for communication is English, but some of the athletes speak Korean as well. The club founder and team president, Michael Wright, heads up the team's Saturday morning bike workouts. 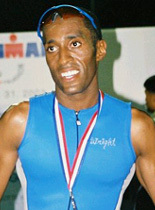 A very accomplished athlete himself, Mr. Wright was Austrian Ironman in 2003 and Korean Ironman in 2003, as well. He currently works as a planner for Eighth U.S. Army (EUSA) communications in Korea. "During my first six months in Korea in the summer of 2001, I found that there were a lot of great foreign athletes that wanted to compete in Korea, however most didn't know how to register for Korean races because of the language barrier." Mr. Wright said of the motive of starting his club. "I was taking night courses in Korean language at Sookmyung Women's University, I would be able to help close the language barrier." The team usually meets outside of the Gecko's Bar and Grill in Itaewon. Members are made aware of meeting times and places through weekly email communication. The Saturday rides focus on long miles and intense hill climbs. Seoul is the perfect setting for training on steep climbs, and the team makes wise use of their surroundings. 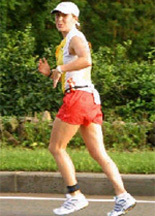 Grant Pettrie is the running coach for Seoul Synergy. He organizes the team's training schedules and prepares individuals for upcoming races. There are at least three club runs held each week, and Pettrie loves to shake things up with various workouts and routes. The club meets on Tuesday mornings, Thursday evenings and at least once on the weekend. Coach Grant is invaluable to the team as is Synergy race coordinator and runner, Chong-Pin Pak. Pak works tirelessly to locate races (5 km and up) for the team and to assist Seoulsters with language and cultural differences. Since he speaks both fluent Korean and English, he is the team's best friend and an amazing athlete. He usually has the inside scoop on which races in Korea have the best courses and the best prizes. John Linebaugh heads up the triathlon side of Seoul Synergy. His official title is "triathlon coordinator" and since he is a dedicated triathlete, himself, he does a great job! Linebaugh searches out various triathlons around the country for Seoul Synergy members to compete in. He researches the registration details that athletes will need to know about a particular race, the race course itself, and he posts this information on the Seoul Synergy Event Calendar for all to see. A new masters swimming program has been started on Friday evenings by Seoulster, Heather Stone. She works with beginners to the elite to improve aquatic performances. Seoul Synergy is sponsored by a handful of loyal businesses. They are Tri-Sports.com, Rudy Project USA and SockGuy.com from the States; and Kim's Garage, Itaewon Kalbi and La Tavola Restaurant, which are all based in Itaewon, Seoul. The club's members benefits from various discounts from its sponsors. The club membership is approximately 40 runners and triathletes. The mission of the Seoul Synergy Run/Tri Club is to promote fitness, friendship and positive international relationships. The team provides information, motivation, training support and social activities for athletes of all nationalities, ages and abilities. 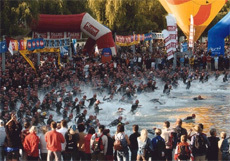 Its major club activities include Dong-A Marathon (March), Ironman Korea (August) Chuncheon Marathon (October), and Laguna Phuket Triathlon (November). The club is also involved in charities. They support Habitat for Humanity. More information on the team can be found at www.seoulsynergy.com. Or contact Michael Wright at wrightmichaelr@seoulsynergy.com for further details.